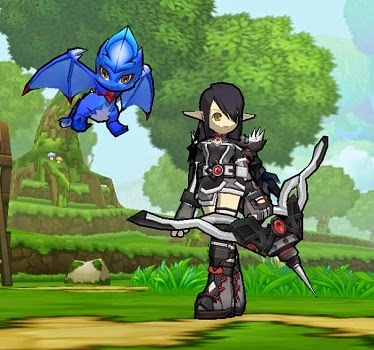 There are two ways to obtain pets on Elsword. First is by purchasing one from the cash shop, and the other way is through events. Players can obtain their first pet by completing a 3 step quest at level 10 in order to obtain a Pocket Phoru. When players obtain a pet, they need to name it. In order to access the pet interface players either need to press 'P' on their keyboards or select their pet from their interface. From here players can choose to summon their pet out on the battlefield. The green bar represents the health and blue bar is the affinity. 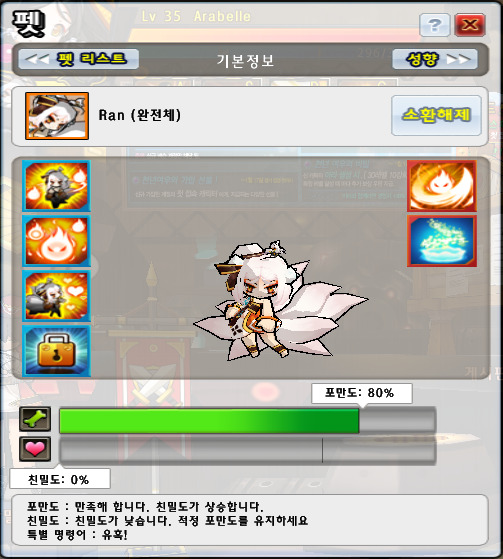 In order to increase the pet's affinity, players need to enter a dungeon and for each enemy killed, the pet's affinity will go up(pets hunger needs to be 60%+ in order for this to work). If the pets hunger falls below 40% it's affinity will go down. When players first obtain their pet it starts off in Life Crystal form. In this form the pet has no uses or functions until it gets evolved into an Infant. 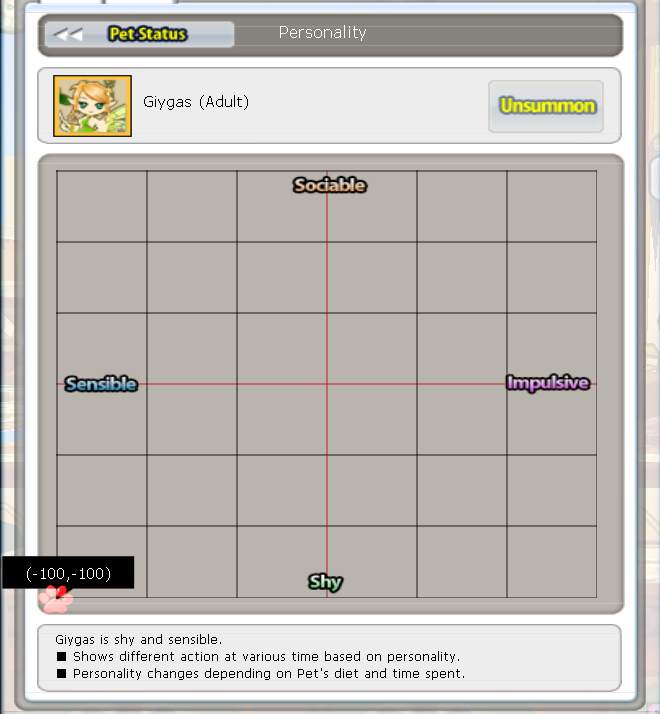 In order to do so, players need to increase the pet's affinity to 100%. 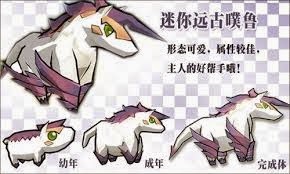 After the pet evolves into an infant it can then be further evolved into a Teen and then Adult. Pets can gain access to a skill called Pet's Energy. This is a passive skill that gives players various stat bonuses. There are four different types of energies, each one giving different stat boosts. Pets gradually unlock these energies as they evolve. The pet's hunger cannot be below 40% for the Pet's Energy to work. Each pet comes with a variety of attack skills in order to aid the player in battle, along with Encouragement skills that buff the player. Players need to make sure to feed their pet in order for them to stay optimum, they can do so from their inventory. Players can feed their pets El Tree Seeds, El Tree Fruit, Equipment, QPL Jellies and Mysterious Weeds. The equipment you feed your pet cannot be more than 10 levels lower than your character. The higher the quality of the equipment, the more hunger is restored. Also weapons restore more hunger than armour does. Pets can also have their own inventory for players to store items when their pets evolve into Infant stage. The inventory space expands as pets further evolve into Teenage and Adult stages. If players store food for pets in the pet inventory and click the checkbox for auto feed, the pet will eat items without needing the player's supervision. Players can interact with their pets via typing in various commands, and based on the pets affinity the pet will respond in different ways to the player's commands. The pets personality will be determined by how players treat their pets. The personality also determines what the pets say when players use pet commands. There are four different types of personalities a pet can have: Sociable, Shy, Impulsive and Sensible. The personalities also determine how the pets act in battle such as how much MP they consume and when they choose to join the player in battle.